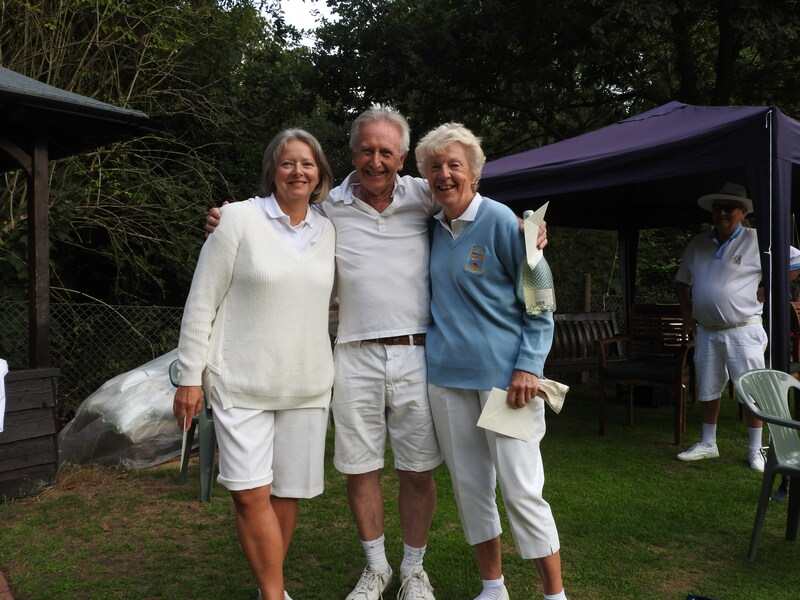 Our invitation day was held on Sunday 12th Aug when the full 16 guest teams attended, most of whom are regulars to this popular event. 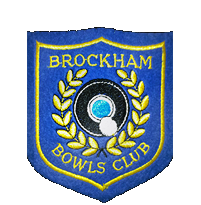 This year we not only had the full house but one team ready to step in at short notice should there be a late cancellation. There wasn’t! 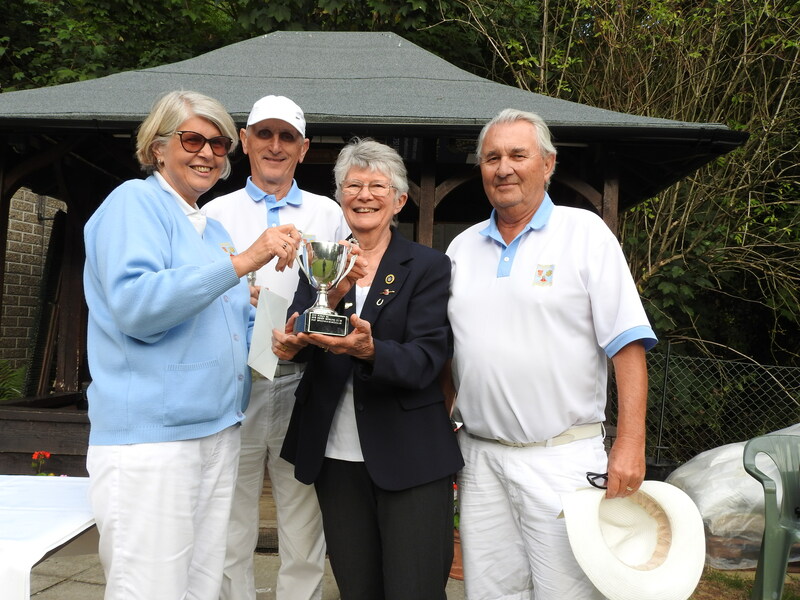 The tournament was won by Banstead Neville’s A team (The Aces) seen here being presented with the trophy by our President, Barbara Walker. The Runners Up were also from Banstead Neville playing under the name of Banstead Bees. 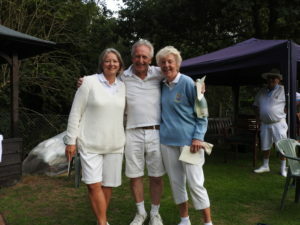 We warmly welcome new members, so come and have a look round.